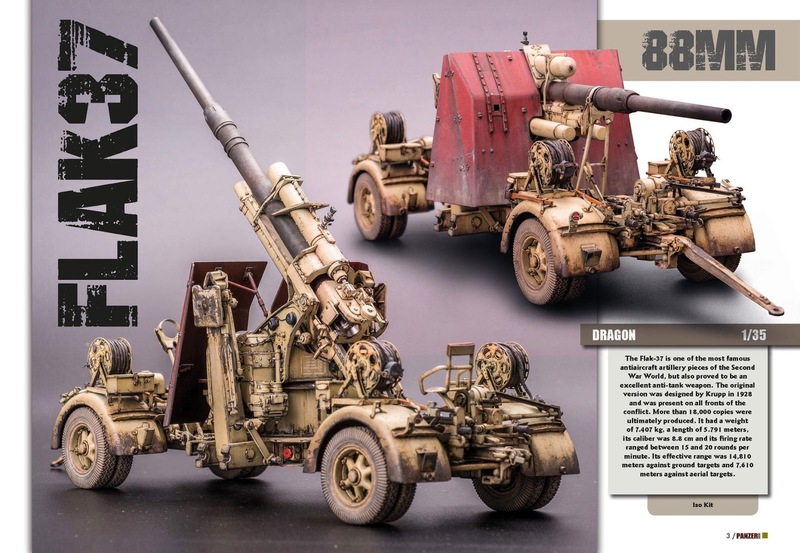 This great modeller from Macao delights us with one of the most mythical subjects of World War II, the well-known "eighty-eight". The assembly of this piece is very complete and complex, detailed with photoetched and home-made elements. The build is topped off with extremely attractive Paintwork, without the use of lighting effects, and finished with great weathering. The overall result is very natural looking. Another newcomer to Panzer Aces, in this case from Spain. You can see the exquisite painting technique that José María carries out, both on the vehicle and the figures. 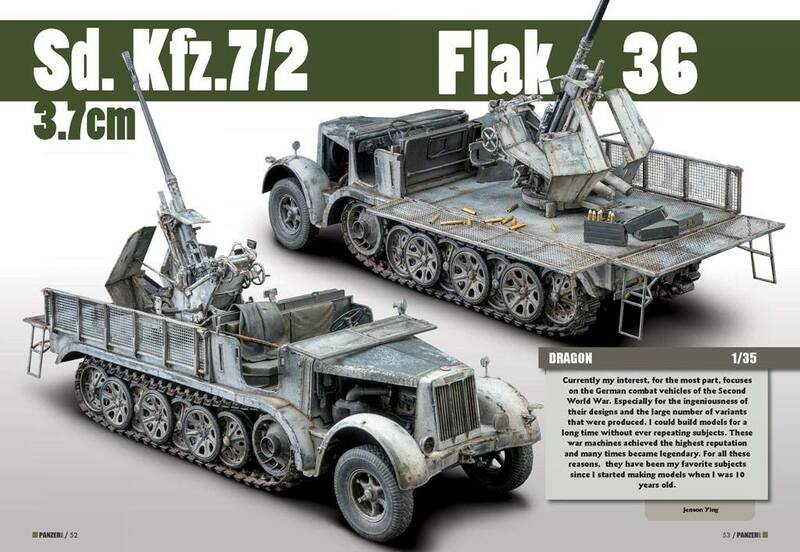 The vehicle has a slight modulation that is masterfully complemented with a very elaborate weathering. 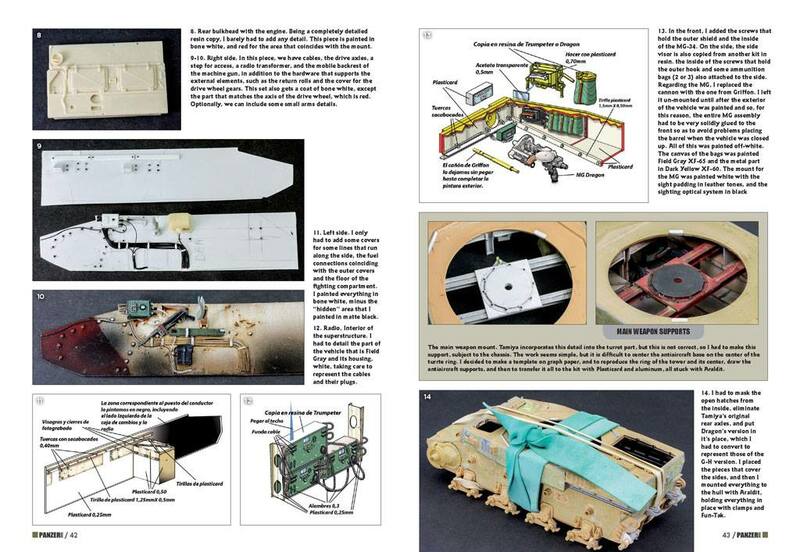 Panzer Aces also wants to highlight the scratchbuilt base, as well as the figure conversión work. 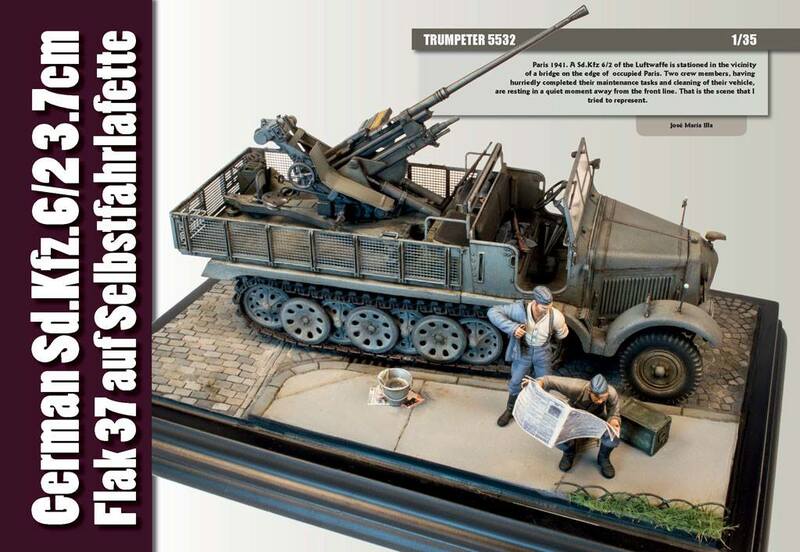 Panzer Aces want to highlight the great build and incredible detailing and scratchbuilding which Sergey has accomplished in this scale, 1/72, where the task is especially difficult. The painting equally well done, employing many techniques, including pre-shading. The result is effective and convincing, as you will see. As always, Angel offers us a magnificently built and detailed work. You can't miss his fantastic explanatory drawings. Not content to share his incredible building and drawings skills, Angel offers us a really attractive winter camouflage with the most convincing weathering. A good winter camouflage is always admired. Jenson shows us his particular way of executing it. His painting is based on the lacquer technique, and the use of acrylics and pigments. Of particular interest is his approach to applying these techniques. The result is a very realistic finish. 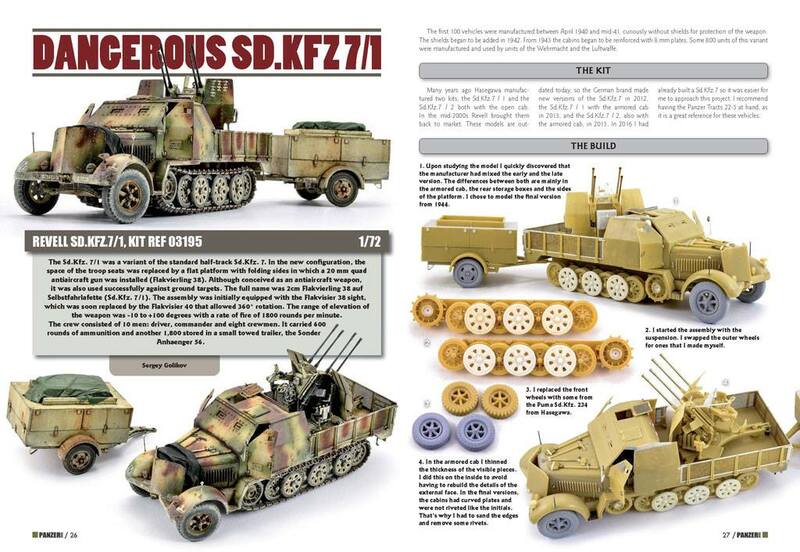 Do not miss this article by this great modeller from Shanghai. 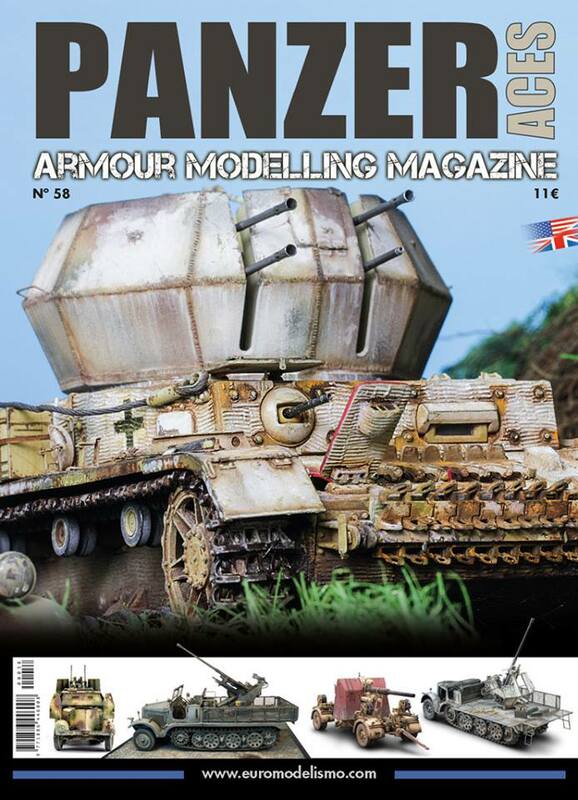 This magazine is now available from the Euromodelismo/ Panzer Aces website.